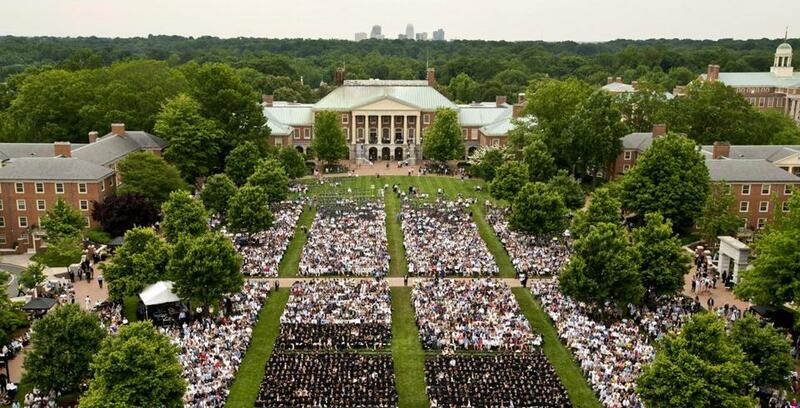 Wake Forest University is among those institutions named in the admissions scandal. That’s the first time I was stamped with the scarlet double ‘A’ — as in affirmative action. It wouldn’t be the last. Regardless of our qualifications, a person of color’s presence in white spaces is assumed to be the result of a quota system. This fosters the stubborn belief that we don’t belong in these institutions or companies, and have stolen a coveted spot from someone more deserving — which usually means a white person. This is what’s so infuriating about charges, announced last Tuesday by federal prosecutors in Boston, that wealthy parents scammed their children into top-tier colleges and universities. Even with every available advantage — access to the best private schools, top tutors, college prep classes, coaches that could have made their spawn into the talented athletes their parents falsely touted — they still allegedly lied, cheated, and bribed their kids into institutions where they would not have otherwise been. Boston University, Boston College, and Northeastern University were mentioned among the many schools nationwide that received false test scores. No former or present employees at these local institutions were implicated in the scandal. Of course, this proves what so many of us so-called “quota” kids have always known: there’s no greater system of affirmative action in America than the one designed to benefit the wealthy and well-connected, especially if they’re white. They make the rules, then break them to rig the game in their favor to an even more egregious degree. And unless it all comes undone — which is maddeningly rare — a rich kid’s success is always chalked up to his or her hard work and personal sacrifices. That wasn’t the case last year for Michael Brown, a black Houston high school student who was accepted — with full scholarships — to the 20 colleges and universities to which he applied. On a Washington D.C. Fox station, two anchorwomen said applying to so many schools is “ridiculous” and a “little obnoxious.” One said Brown, since he could only attend one school, was “taking a spot from someone else who worked really hard,” and would be bumped, at least for a time, to the waitlist. Hmmm. I wonder who that “someone else” refers to. Nothing was said about how hard Brown, now at Stanford, must have worked for his exceptional grade point average and near-perfect SAT and ACT scores. And he, unlike the children of those rich parents who were charged and arrested, actually took the exams himself. Yet Brown will always be questioned about how he got where he is. I speak from experience. Throughout college, and a decades-long career in overwhelmingly white workplaces, (bastions of diversity, American newsrooms are not), I still labor for acceptance in a fevered way that only people of color can fully understand. And no matter what I achieve, some will always view my position as a kind of ill-gotten gain. Years ago, I was offered a job at the New York Times. I didn’t take it, but used it as leverage to get a position I wanted here. I did exactly what others did, but was punished for it when a white male Globe reporter complained (anonymously, of course) to a competing paper that this was yet another case of political correctness and diversity run amok. His message was clear: How dare some affirmative action hire use negotiating tactics created by and for white men only? As the story gained some national traction (luckily, this was in the pre-Internet days), it was spun into another cautionary tale for black people about Boston. It was more than that, and I’ve never forgotten it. When the late, great Gwen Ifill was a New York Times reporter, vile former radio host Don Imus said on his show, “Isn’t The Times wonderful. It lets the cleaning lady cover the White House.” Never mind that Ifill, a Simmons College graduate who started as a Boston newspaper reporter, was in the midst of one of journalism’s most stellar careers. The racism of what she later called “a radio D.J.’s juvenile slap” stung many of us deeply. If it could happen to someone as highly accomplished as Ifill, it could happen to any of us — and still does every day. This is why I’m not concerned about the futures of those kids whose parents bribed their way into college. They’ll never travel in circles where anyone will openly question how they got where they are. However embarrassed they might be now, it’ll all work out. Repercussions, if any, will be minimal compared to their parents’ alleged crimes. Even if they are forced out of school or their degrees are rescinded, they’ll be just fine. In the meantime, let’s bury all talk of that fabled meritocracy which has existed only to deny racism’s pervasive impact on black achievement. Besides, hard work is no match for mediocrity insulated by money and privilege. That’s unlikely to change. Who knows? With their parents’ wealth propelling them to more undeserved heights, these kids — like Jared Kushner — could one day be senior advisor to the President of the United States. Clarification: While Boston University, Boston College, and Northeastern University were mentioned in Renee Graham’s March 17 column, “Affirmative Action for the Wealthy,” it was not intended to imply that any former or current employees of these schools were charged in the federal investigation into an alleged nationwide college admissions scam.